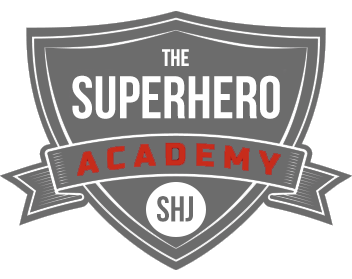 Back to basics with today’s post SuperHuman community. I can’t say I remember much since my last post. 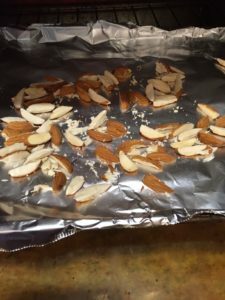 I recently found myself in tattered clothes in the Canadian Wilderness and my knuckles won’t stop itching… But I feel this strange urge to share this great recipe to help keep you on track in your efforts to reach your goals. And on to the truth. 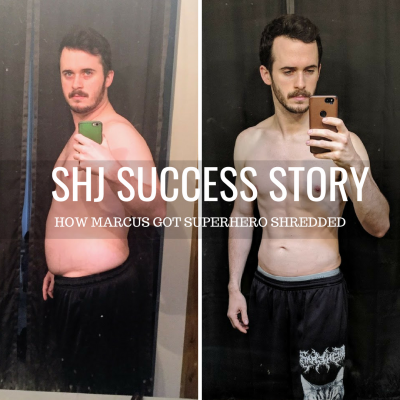 I’m a self taught average joe who’s been gifted a superhuman sense for what tastes great and I’m here to share my findings. 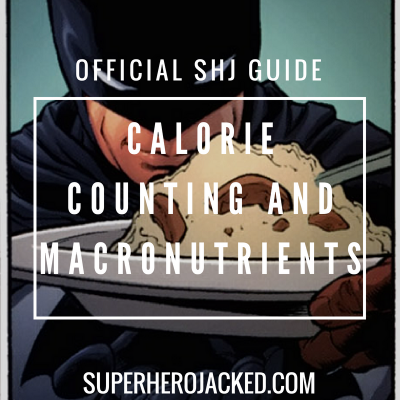 Each recipe will feature a minimum of one of the elusive superfoods because what else do you think superhumans consume? This recipe can be utilized as either a main dish for you vegetarian community members, or as a complimentary side to your favorite protein. A great number of SuperFoods are brought into play in this recipe, so many in fact I’m pretty sure it was conceived in a wing of certain Westchester Mansion. 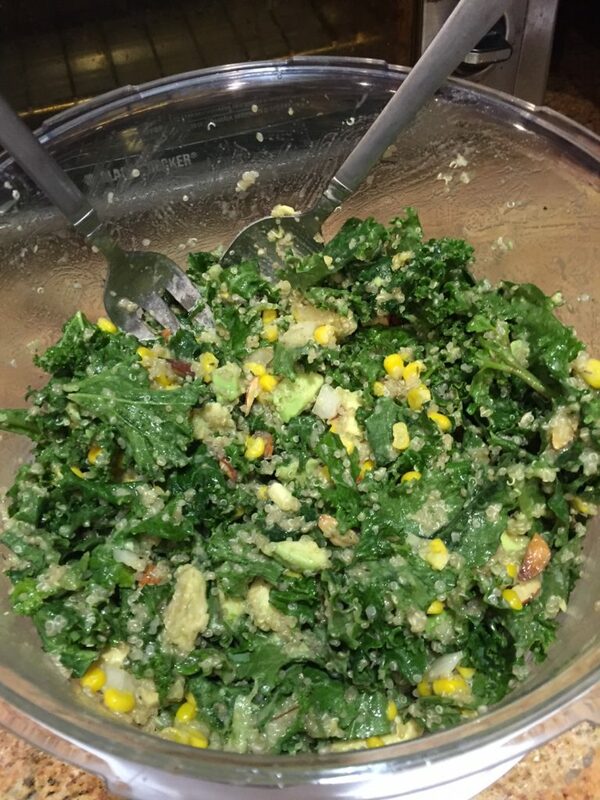 Most heavily featured are three of my favorites Avocado, Kale, and Quinoa. Not only are these nutrient dense power houses great for you they are also incredibly flexible in the culinary world, so get used to seeing them as I know this won’t be my last post on them. 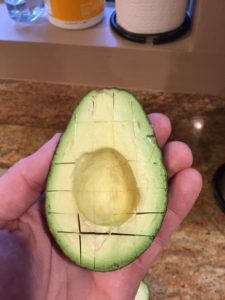 In fact I’ve already told you how much I love the avocado when I popped my food blogging cherry. 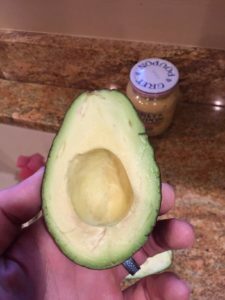 If you’d like to find out another use for avocado or more about this superfood I’ll point you to my inaugural post, here. Now to the nutrition benefits of this culinary asset. 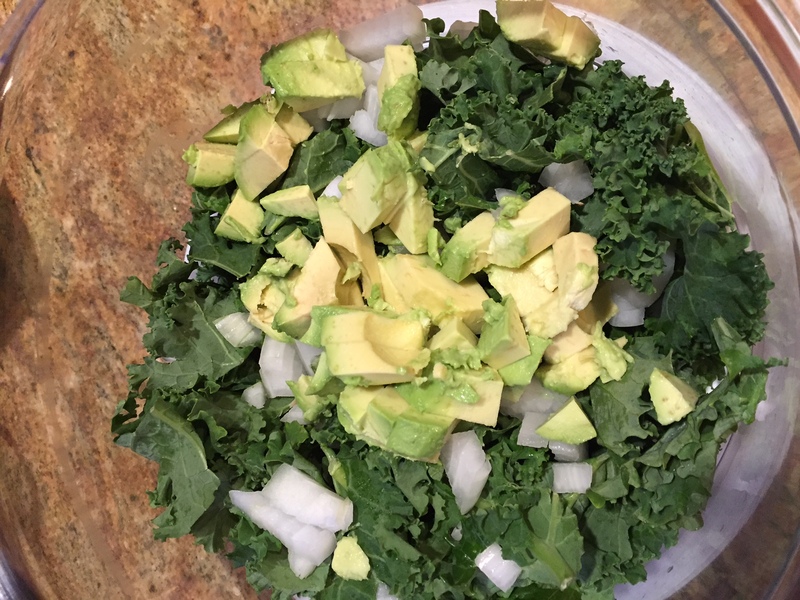 In terms of nutrition density per a calorie, Kale is a contender for the World Championship Belt of the veggie world. 1 cup of this Hulk powered green logs in a 33 calories (6 g carbs, and 3 g of veggie proteins) and in that small calorie count you get these whopping nutrient counts (% of daily recommended amount): 206% of your Vitamin A, 684% of your Vitamin K, 134% of you Vitamin C, in addition to relatively high amounts of your daily Manganese, Calcium, Copper, and important antioxidants that have been scientifically been show to prevent cancer at a cellular level. What does this all mean and how does it benefit me? Glad you asked SuperHuman. 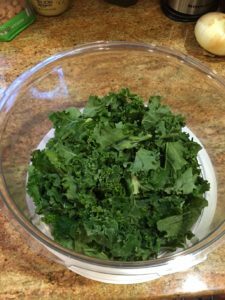 Kale is great for vision and overall eye health, boosts your immunity, and does all this without overloading you with a high calorie count. Essentially ditch the multivitamin (studies show these things are a waste of time more often than not anyways), eat more kale, and smash. This recipe makes anywhere from 2-4 servings. This recipe meets the standards of our Mediterranean Pillar and our Vegetarian Pillar. If you are vegan replace the honey with a vegan friendly options. Quick Note: This is meant to be a warm salad. You can prepare this ahead of time and serve cold, it’s still damn good, but best served warm. 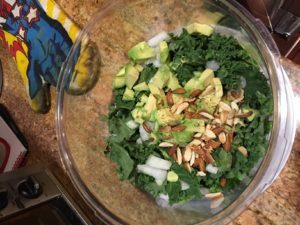 In a large salad bowl add your kale. 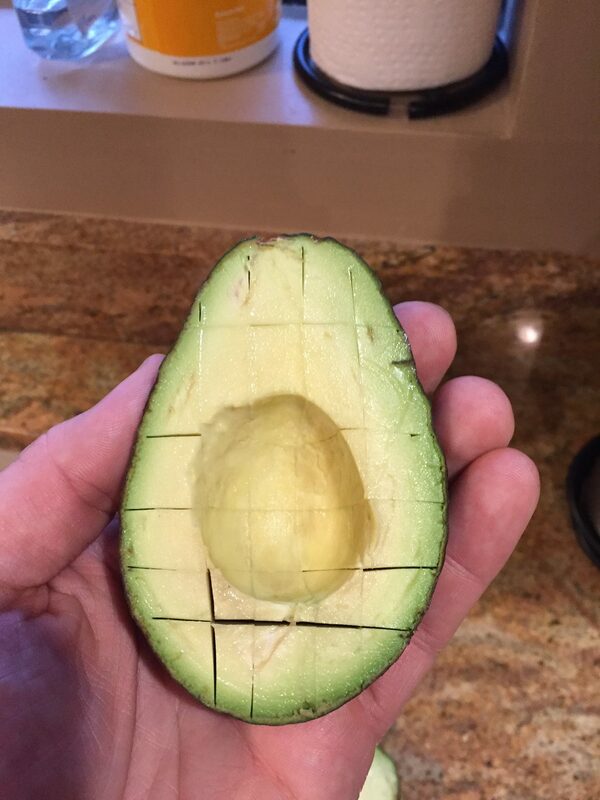 Half your avocado and remove the pit. Get a small pairing knife and take advantage of the tough outer skin/soft fruit combination. Make a grid like pattern. Grab a spoon and scoop out the fruit into your salad bowl. 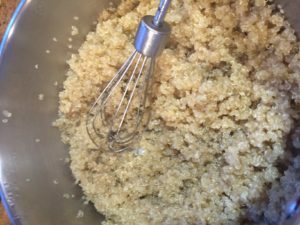 Remember to keep an eye on your quinoa. Once done cooking stir with a fork or small whisk to separate the grains, place the lid back on your pot and set aside for now. 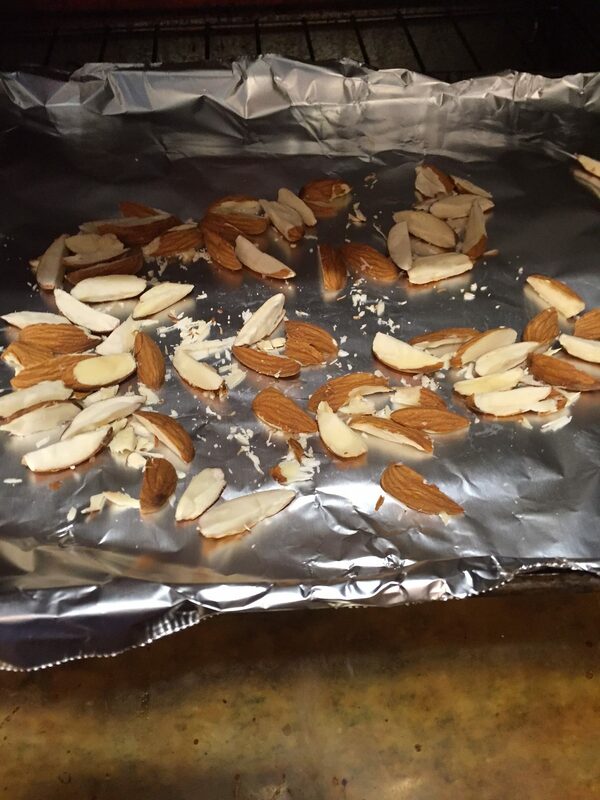 Add your toasted almonds to the bowl. Defrost your corn strain off any excess liquid and add to your bowl. Dressing time! 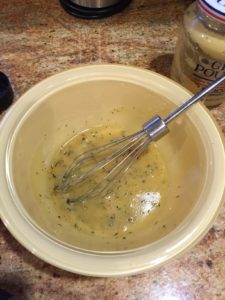 – Grab a small mixing bowl, add your oil, vinegar, mustard, honey, salt, parsley, garlic and pepper to the bowl. Whisk until combined. BOOM it’s that easy. Measure a cup of the cooked quinoa and add to your salad bowl. Ideally this is still hot. Pour your dressing over the salad and toss until your salad is well mixed and well dressed. Ready to Transform with Dave and I? !